At $99, the Gear VR costs considerably less than the likes of an HTC Vive or Oculus Rift, but it still offers some amazing VR experiences. 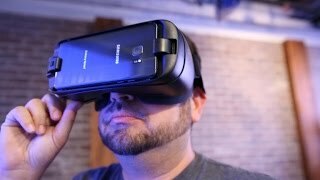 The updated Gear VR offers a wider field of view and more comfortable design than its predecessor, and it's easy to set up and use. A large and growing library of apps, games, and videos are available. Many of them are free or inexpensive. 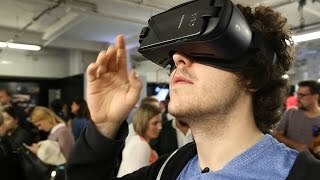 The Gear works only with a handful of Samsung phones and limits you to the Samsung/Oculus ecosystem of games and apps. Samsung still doesn't supply a gamepad controller, although you can buy one separately. 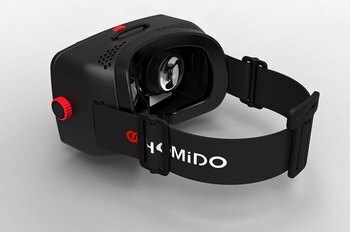 Upcoming Android Daydream headsets may offer better experiences and/or wider smartphone compatibility. 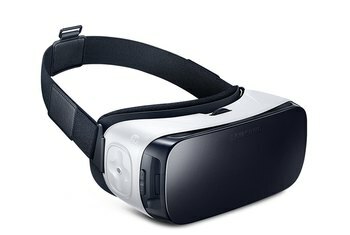 Samsung's second-generation virtual reality headset works only with Samsung smartphones. 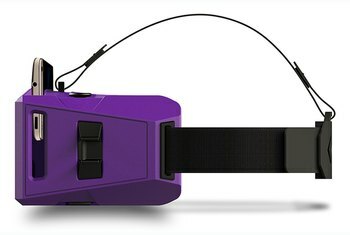 Assuming you have a compatible model, you get access to VR games and experiences that come close to rivaling those offered by much more expensive hardware. Best of all, you don't have to stay tethered to a PC. It still feels like you're looking through a pair of binoculars, rather than being completely transported somewhere else, but it's far better than previous models. 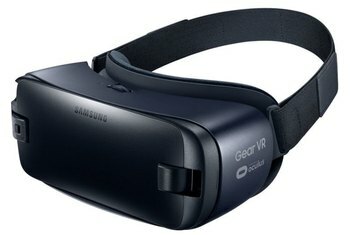 The 2016 Gear VR is – as before – well worth the extra money over a Cardboard viewer, mainly down to the app and video library. 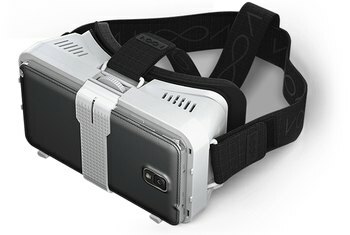 As a $100 accessory for your phone -- provided you have a Samsung phone that works with it -- Gear VR is still the best mobile way to dive into other worlds. And, for me, I still use it more than the obviously better, but harder to set up and share Vive or Oculus Rift. 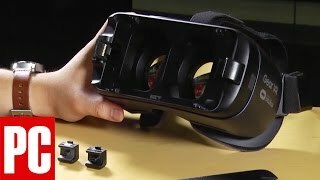 In terms of sheer resolution, the Gear VR technically has the HTC Vive and Oculus Rift beat, since it uses Galaxy smartphones with 2,560-by-1,440 screens compared with the Rift and Vive's 2,100-by-1,200 panels. That doesn't tell the whole story, though. You should also take into account the price of VR media, and especially when we're talking about games, stuff doesn't come cheap. You may be used to paying $3 to $5 for popular Android titles in the Play Store, but a good fraction of the Gear VR games in the Oculus Store are more in the $5 to $10 range. Where the last iteration felt heavy on your face from the weight of the Samsung Galaxy Note 4, the latest edition with its newer phones is much lighter and more comfortable. All told, the touchpad redesign is a change for the better. Yes, the new design makes it slightly harder to figure out your finger's precise position on the touchpad just by feel, but it's rare that you need that information when using a Gear VR app. 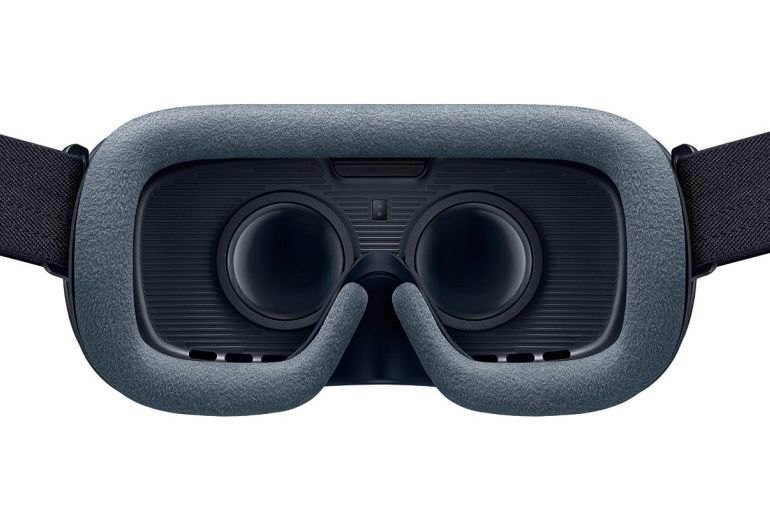 The most notable change to this Gear VR only takes effect if you have the latest and greatest Samsung device: the new Note 7. Samsung's Note 7’s improved internals like the 5.7-inch AMOLED screen with 518 pixels per inch, 3,500mAh battery and 4GB of RAM are most important to delivering a solid virtual reality experience. Not only is the inside of the headset darker, it's also noticeably wider and taller. More of your face fits inside the opening with the lenses, and that is fantastic news for glasses wearers.